this article first appeared in Fathom in March 2014. All photos by Erica Firpo. We're kicking off Sicily week on Fathom, starting with the capital. Contributing editor Erica Firpo calls Rome her home but finds the siren song of Palermo irrestistible. Here's why. 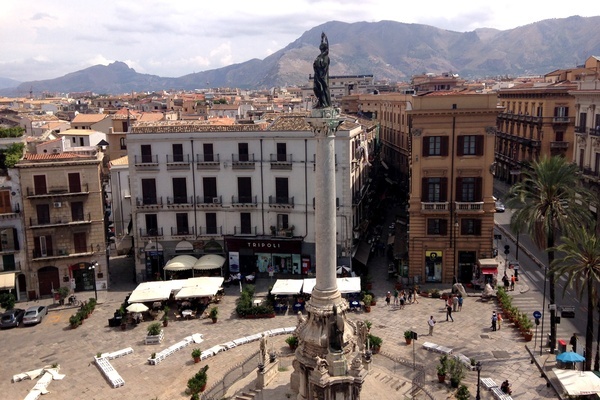 PALERMO, Sicily – I am pretty sure that Palermo is a Gemini. The Sicilian capital seems to fit every definition of the astrological symbol: fickle, flirty, feckless, inconsistent, generous, brilliant, and entertaining. Whether it's a sultry summer day or a bitter, humid winter afternoon, Palermo is a tease, a three-dimensional split personality that will tell you one thing and then do another. To be fair, Palermo has suffered the weight of colonizations, invasions, bombings, and restorations. Reinvention is second nature, and so is moodiness and distrust. The first time I visited, I just got it. You know that feeling when you intuitively understand the arrhythmic pulse of a person or a place? 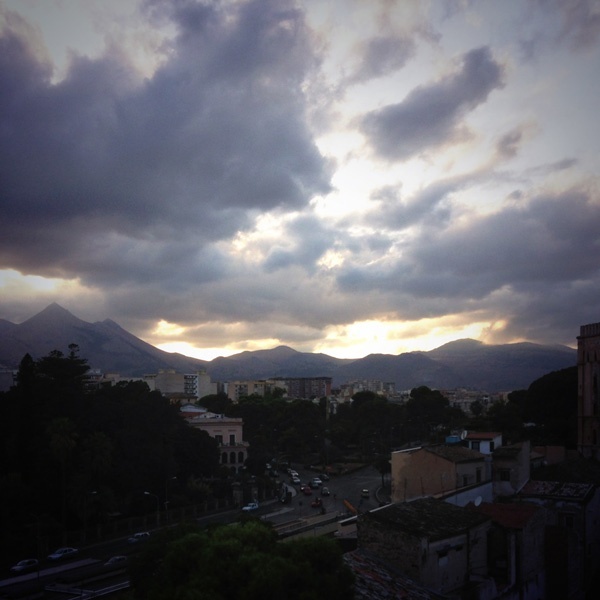 I felt Palermo's beat inside me, and immediately I was in love and still am. I love the drunken heat that means you can't do anything all day, but you can go out until 5 a.m. every night. I love the food and its etiquette — as in, everything must be tasted, eaten, and discussed. I love its architecture — the decadent, decaying historic center; lovely Liberty buildings; and even the menacing late 20th-century skyrises. I love how shops close mid-day and people still get their groceries via a basket pulley system that courses all floors of the apartment building. I love how the beach seems to push up on the city suddenly and how the mountains overcrowd its perimeters. And I love its soccer team jersey of pink and black vertical stripes. 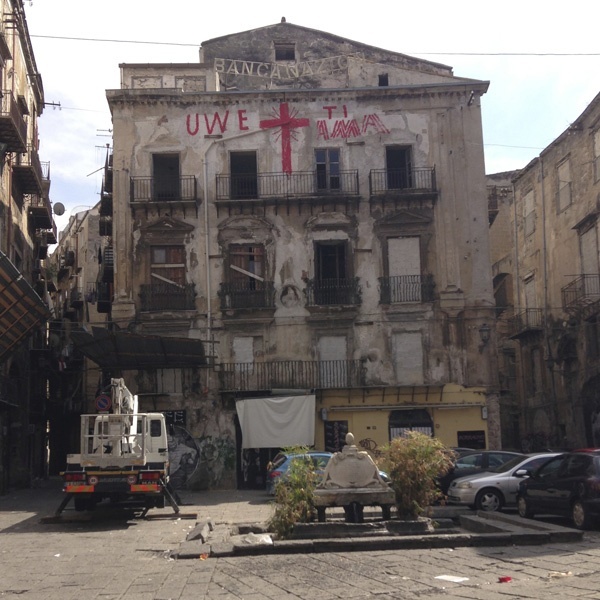 Palermo is the proverbial kitchen sink, a melting pot of everything good and bad that the centuries have offered; an ongoing social experiment in chaos theory. Its only constant is that it is a constant contradiction. Most Italian cities center around beautiful, coiffed historic centers, but Palermo left its historic center to fend for itself, and it is now a burnt umber mess of half-standing palazzi, beautifully painted street murals, and late evening ad hoc barbecues. The adjacent neighborhoods, in particular those to the northwest like Libertà, parts of Monte Pellegrino, and Partanna-Mondello, show off curlicues and picturesque turn-of-the-last-century architecture, wild concrete gardens showing the remains of World War II bombings, and new and newer buildings. Palermitani too are a crazy cross-section of the island's history. My fifth grade teacher (she of inflexible Italian sterotyping) should take note: Palermitani can be tall and blond, small and dark, lanky and curvy, gorgeous and ugly — and they are all beautiful. 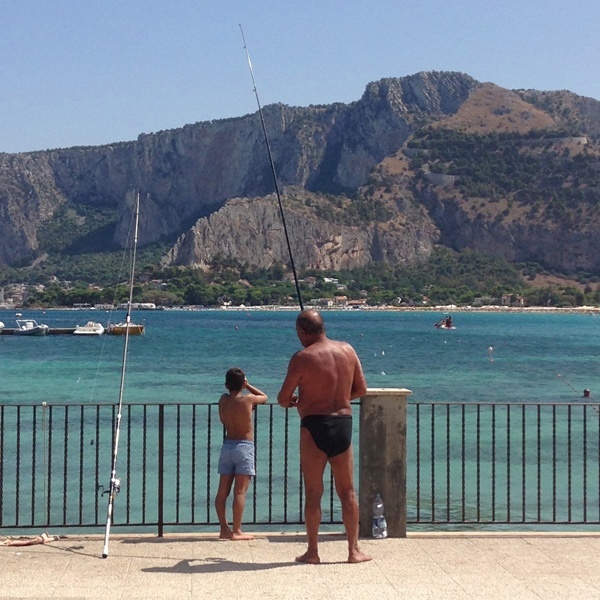 Like I said, Palermo is a Gemini, a siren and a vamp. The city drags you in with its coquettish, technicolor skies and quaint attitude. But that's just for the tease, because you will never truly know Palermo unless you've lived there for centuries, which is why I keep coming back.